“Here’s That Rainy Day” was written for the Broadway musical Carnival in Flanders, which only ran for six performances. This song, however, is quite good and has remained a popular ballad over the years. 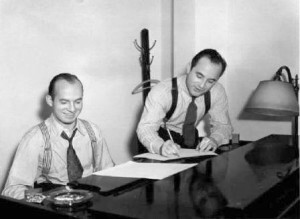 In addition to Bennett’s recording, it has also been recorded by those such as Frank Sinatra, Rosemary Clooney, Steve Lawrence, Billy Eckstine and Ann Hampton Calloway. The song is also proved a favorite of jazz instrumentalists, including Dave Brubeck, Chet Baker, Paul Desmond and Art Pepper, among many others. “Here’s That Rainy Day” was recorded on October 1, 1971 and released the following year on the album With Love. It was arranged by Robert Farnon. “Here’s That Rainy Day” was recorded in June 1992 and was released that year on Perfectly Frank. It was arranged by Ralph Sharon.